CINCINNATI, OH (June 27, 2016) – Today a pro-life battle was lost in America’s highest court as the landmark case Whole Woman’s Health v. Hellerstedt ruled in favor of Whole Woman’s Health in a 5-3 decision. 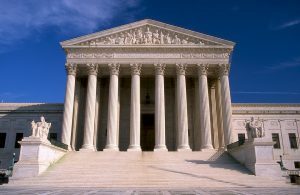 In what has been dubbed the most significant abortion case in over two decades, the US Supreme Court dismissed Hellerstedt’s claim that all abortion facilities should meet basic patient safety criteria, while also continually improving their standards of care. Abortionists will not be required to obtain admitting privileges at local hospitals within 30 miles. This ruling permits the current 18 abortion facilities in Texas to remain open, without the necessity of meeting patient safety standards. The implications of this case will be far reaching, as there are similar laws in Wisconsin and six southern states that have the potential of being struck down due to today’s ruling. This entry was posted in Press Releases by Editor. Bookmark the permalink.